Soccer was never a love of mine growing up, although I played it for a few years. I have a few professional teams I’ve grown to love in my adult life, but that’s due in large part to an attachment to place and people in my ancestral research. That’s how you end up with a Detroiter that loves Bayern Munich and Norwich City FC. In 2012, some neighbors of mine decided to start an amateur team here in Detroit, and it’s grown from a fledgling project to a huge thing. Along with the club growth, I moved from behind the scenes press-box-assistant (I can keep a reasonable stat book, let me tell you) to the supporters section. Along the way, I fell in love with the supporter community. 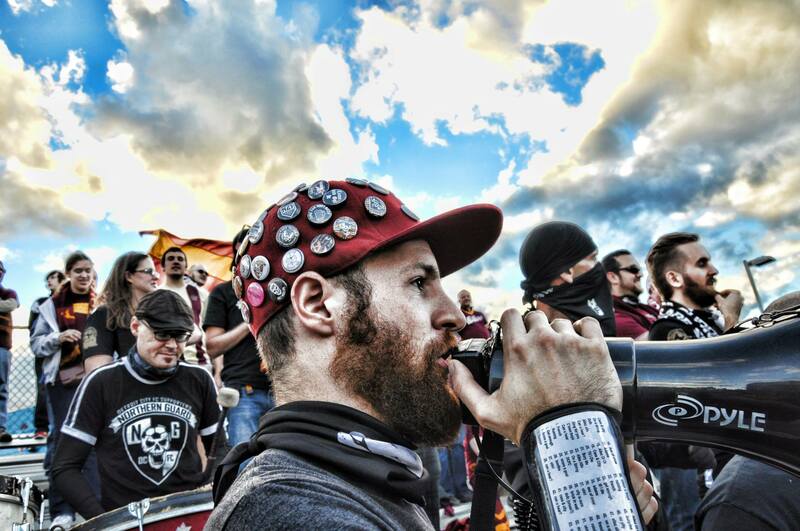 Even though it’s not the most likely place you’ll find an ordained minister, the Northern Guard Supporters gave me a megaphone and taught me how to be a capo (one of the chant leaders). We’re rowdy, we’re loyal, and we’re passionate about our club. Notice how that passion theme keeps appearing all over my site here?